A versão final do modelo biposto (treinador) do jato de combate leve Tejas realizou seu primeiro voo neste sábado, 8 de novembro. O voo do exemplar denominado PV-6 é considerado um marco no programa indiano LCA (Light Combat Aircraft – avião de combate leve) desenvolvido localmente pela Índia. A informação foi divulgada pelo jornal Economic Times e pelo site Livefist. O avião decolou às 13h36 (hora local) pilotado pelos capitães Vivart Singh e Anoop Kabadwal. Trata-se do 16º Tejas que já voou como parte do projeto que vem sendo desenvolvido há mais de duas décadas. O exemplar PV6 absorveu todas as principais modificações advindas das 2.500 horas de testes de voo do programa, sendo o seu último protótipo antes da produção em série do caça. O PV6 está equipado com um novo sistema de comunicação, radar, sensores de guerra eletrônica e sistemas de navegação para pouso automático. The Indian MoD cleared the purchase of two Airbus 330 aircraft for mounting an indigenously developed radar system. Costing $840 million, the arborne warning and control system (AWACS) will add to India's early warning assets which consist of two Russian-made Il-76 aircraft mounted with an Israeli Phacon radar. The AWACS will provide 360° coverage over land and water unlike the Phalcon which goes till 270°. India is also on course to induct Brazilian Embraer-145 airborne early warning and control (AEW&C) system aircraft, with an Indian-made radar developed by DDRO (Defence and Research Development Organisation). ndia is to conduct a safety assessment of its fleet of Sukhoi S030MKI 'Flanker' fighters following the loss of an aircraft on 19 May, national media has reported. A high-level review of the more than 200 Su-30MKI aircraft fielded by the Indian Air Force (IAF) is due to be held in the coming days, with Defence Minister Manohar Parrikar discussing the issue with IAF head Air Chief Marshal Arup Raha and other senior officers. The review follows the crash of an Su-30MKI during a training exercise in the far east of the country. Both crew members were reported to have ejected safely. Since receiving the first of its Su-30MKIs in 2002, the IAF has lost six to accidents. Most recently, the fleet was grounded following a double uncommanded ejection that occurred in October 2014. The findings of an investigation into that incident have not been disclosed. With the Su-30MKI making up nearly a third of the IAF's fast jet fleet, Parrikar was quoted by India's Zee News as saying, "We are not grounding the fleet (...) We can't ground the fleet after every accident." According to IHS Jane's World Air Forces, the IAF has received 205 of an expected 270 Su-30MKI aircraft, with deliveries set to run through to 2019. Of these 270, 222 are being assembled by Hindustan Aeronautics Limited (HAL) in India. Some 10 squadrons have so far been equipped with the type. With many of the IAF's older types slated for retirement, the Su-30MKI will soon become the service's most numerous combat aircraft. In future, it will comprise the backbone of IAF's combat capability along with the Dassault Rafale and the indigenous Tejas Light Combat Aircraft. India's Ministry of Defence (MoD) has cleared the USD2.5 billion procurement of 22 AH-64E Apache and 15 CH-47F Chinook helicopters from Boeing ahead of US defence secretary Ashton Carter's visit to New Delhi in early June. Industry sources said the MoD had forwarded the tenders to the finance ministry for approval in late April and early May. The deals still require final approval by the Cabinet Committee on Security (CCS), which is headed by Prime Minister Narendra Modi. Official sources told IHS Jane's that the entire process is likely to be completed before the 30 June deadline imposed by Boeing on 1 April, which if achieved will see both contracts signed at prices negotiated in late 2013. Boeing has agreed to MoD requests to maintain this purchase price nine times, but on 1 April said this was the last time. The contract includes an option to acquire 11 additional Apaches and seven more Chinooks for the Indian Air Force (IAF). Separately, the Army Aviation Corps is progressing its requirement for 39 Apaches, three years after it was given ownership of attack helicopters by the MoD following a bitter and long-running dispute with the IAF, which refused to transfer operational control of its 22 AH-64s to the army. Selected over Russia's Mil Mi-28 Havoc attack helicopter in 2012 following trials, the Apache is being bought under a hybrid deal split between a Direct Commercial Sale (DCS) and the US Foreign Military Sales (FMS) programme. The FMS portion includes munitions, training, platform certification, and components including engines, sensors, and radar; the DCS part comprises the basic platform, logistics support, and assorted spares and services. The Chinook, which bested the Russian Mil Mi-26 Halo helicopter in trials in 2012, is being acquired via the DCS route. The Chinooks will replace the IAF's ageing Mi-26 fleet and will primarily service the Indian Army's new 17 Mountain Strike Corps, which is currently under recruitment for deployment along the disputed border with China. Isto é que é fartura. A FA Indiana encomenda estes 22 Apaches e ainda quer mais 11, enquanto o Exército Indiano se prepara para encomendar outros 39 Apache. Entretanto, milhões de indianos continuam sem acesso a água potável. 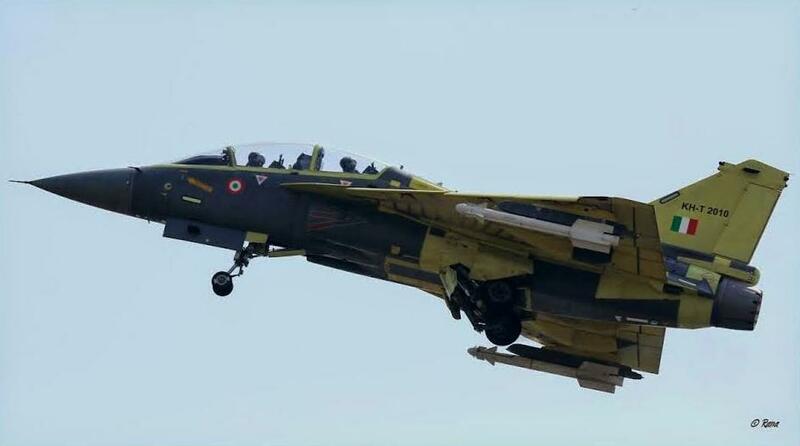 A Jaguar fighter -a twin-engine, single-seater strike aircraft of Anglo-French origine- of the Indian Air Force crashed this morning near Allahabad, in Uttar Pradesh. It was the 87th since 2007 - on an average the Indian Air Force has lost about an aircraft every month for the past eight years. 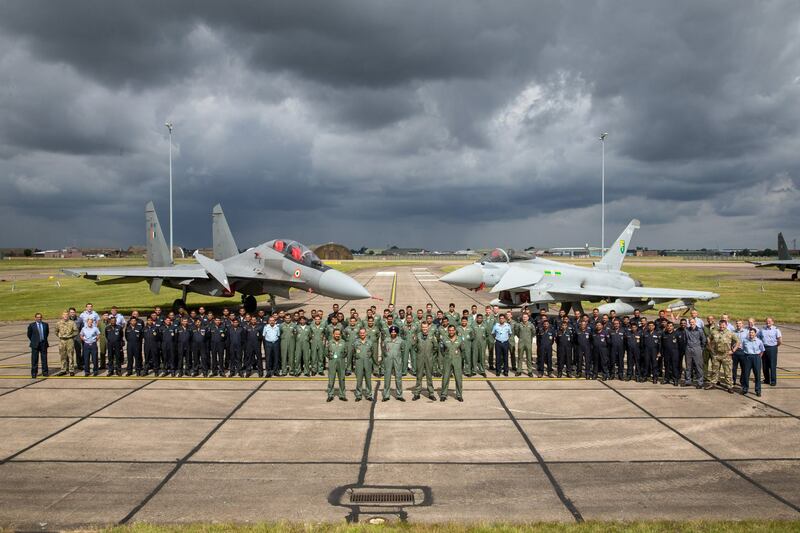 Indian SU-30MKI Russian-made planes have been in Britain taking part in a joint exercise, including dogfights, with RAF Eurofighters/Typhoons. This exercise ended on July 30. India has cancelled its $12 billion program to purchase 126 medium multirole combat aircraft. According to a July 30 press release from the Indian Ministry of Defence, "The RPF issued earlier for procurement of 126 Medium Multi Role Combat Aircraft (MMRCA) has been withdrawn. In its multi-vendor procurement case, the Rafale aircraft met all the performance characteristics stipulated in the Request for Proposal (RFP) during the evaluation conducted by Indian Air Force"
The release added, "This information was given by Defence Minister Manohar Parrikar in a written reply to Ahmed Patel in the upper house of parliament on Thursday 30 July, 2015". Indian officials gave no reason for the cancellation. Dassault Aviation, prime contractor for the Rafale, was not immediately available for comment. Separately the Indian prime minister said in April there would be an off-the-shelf order for 36 Rafales. Dassault hopes the government- to-government negotiations will deliver a contract later this year. If New Delhi seals the deal, that would be the third export win for the twin-engined fighter jet, following Egypt and Qatar earlier this year. The first request for information of the MMRCA was floated in December 2005, and the RFP followed in August 2007. 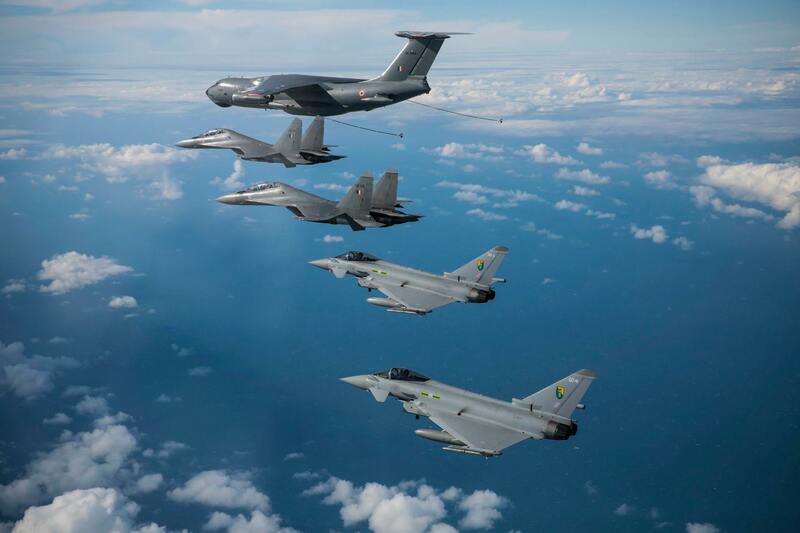 Rafale beat the Eurofighter Typhoon only on the basis of lower cost after they were the only two bidders left in the field. The F -16, F-18, Gripen and MiG -35 were eliminated from competition after flight trials in August 2011. Under terms of purchase, the first 18 aircraft would have been delivered in fly-away conditions while the remaining 108 would have been manufactured under a technology transfer process. Out of the 108 aircraft to be license-produced in India, 74 would have been single-seat and 34 twin-seater aircraft. The delivery was to have begun three years after the contract was signed. NOVA DELI: Em um dos mais intensos exercícios de combate aéreo internacional envolvendo a força aérea indiana, os pilotos da IAF voaram o Sukhoi Su-30 MKI e lograram o retumbante placar de 12 x 0 contra os caças da Força Aérea Real britânica em combates dentro além do alcance visual ( WVR e BVR) em exercícios simulando operações dogfighting.Em um subsequente Large Force Exercises (LFE) que contou com exercícios combinados entre formações de caças Eurofighter Typhoon e Su-30, os jatos IAF foram um pouco menos bem sucedidos, mas de forma constante, obtiveram uma vantagem expressiva sobre os Typhoon.